Sarah, originally from Newcastle, is interested in paediatrics, emergency medicine and gastroenterology. Her elective in Tanzania has sparked her enthusiasm for public health and healthcare delivery in developing countries. Her research in patients’ knowledge of the contraceptive pill has recently been published in the Journal of Women’s Health. This photograph was taken during a four week elective placement at Ilula Lutheran Hospital, located in the southern highlands of rural Tanzania, East Africa. It emphasises the innocence and resilience of this country’s generous, kind people. Ilula Lutheran Hospital is a 70-bed facility with a geographically broad service area. Patients often travel long distances to seek attention at the facility, and present most commonly with conditions such as malaria, complications of HIV, malnutrition, trauma, burns, respiratory and diarrhoeal illnesses, often in their advanced stages. This photo was taken while visiting a village on an HIV outreach clinic. Nurses and doctors attend villages monthly to diagnose new patients, dispense anti-retroviral therapy and perform general check-ups. The rate of HIV infection in the Ilula area has not been accurately measured; however, the infection rate has been estimated at approximately 20% in the general community and 50% amongst hospital inpatients. The day this photo was taken, the nurses and doctors were helping villagers form a support group to facilitate communication between them and the hospital, to encourage new patients to seek help and to give existing patients a support network to aid with compliance. This little boy was shy as he hid behind the skirt of his HIV-positive mother. The support group was named Tumaini – hope. 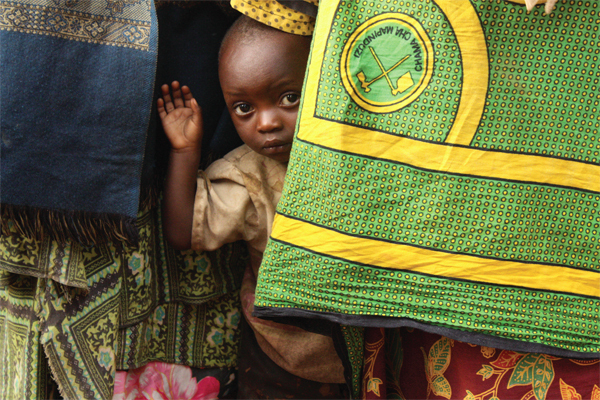 This photo was the winner of the 2011 Medical Students’ Aid Project photo competition. MSAP is a not-for-profit organisation run by medical students from the University of New South Wales. MSAP’s goal is to send targeted aid to developing world hospitals visited by UNSW medical students on their elective terms. This is done through collecting donations of equipment from hospitals and doctors around the state, as well as fundraising to purchase additional equipment and arrange for delivery of these supplies. To ensure that the equipment sent is appropriate and useful, the hospitals are asked to compile a “wishlist” of required supplies. In addition, MSAP also educates medical students on issues associated with global health throughout the year. To find out more, and how you can help, visit www.msap.unsw.edu.au today!